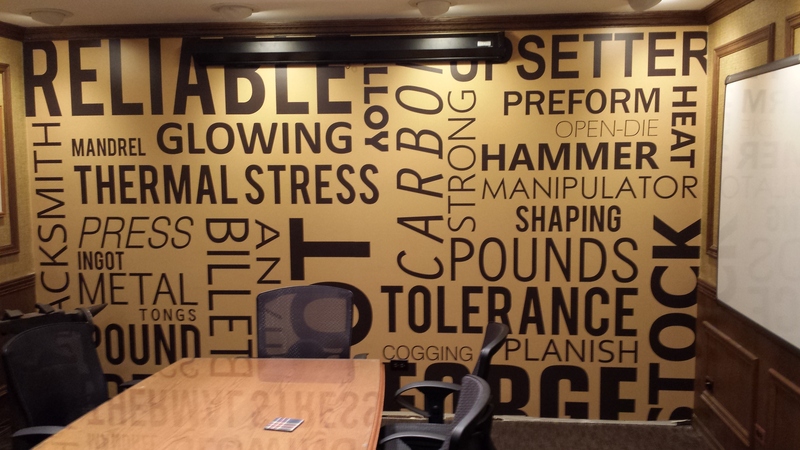 Word clouds give you the sense of a business, and they are pretty cool for decorating a company’s offices. Here, we printed wallpaper of a word cloud generated by our customer to decorate their conference room. Do a search online and you’ll find sites that give you a word cloud based on your website, or just about any other document. A pretty nice one is Jason Davies. This entry was posted in Custom Printed Wallpaper and tagged custom wallpaper, word cloud, word cloud decoration. Bookmark the permalink.